Wow! 4.5 stars on Yelp after 80+ reviews! Wow! After all this time on Oahu, how come I’ve never heard of this place? Wow! Where is this place? Wow! The parking there is tight. Wow! They’re on Twitter and Facebook. After you overcome the wow factor, settle in and get ready to feast on all kinds of baked goodies. Their signature item is the Snow Puffy. 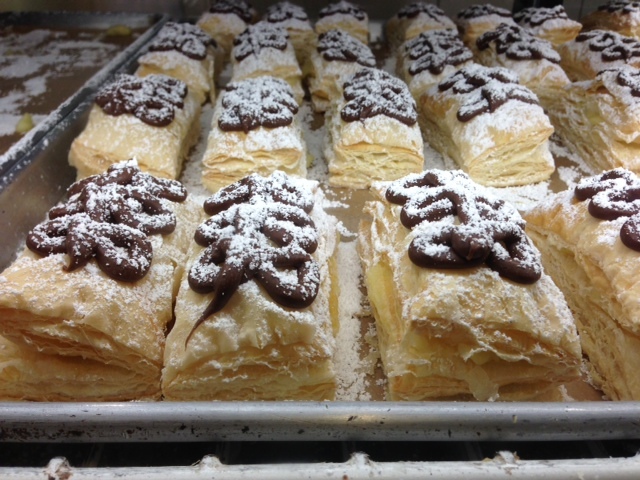 My best description of a Snow Puffy would be “extremely balanced.” First, there’s the flakiness of the pastry. As it crumbles and melts in your mouth, you get to the cream-filled center. It’s sweet, light, and chilled. The next bite comes across the chocolate swirl. The dense chocolate contrasted with the airy cream and their different forms of sweetness is so complementary. 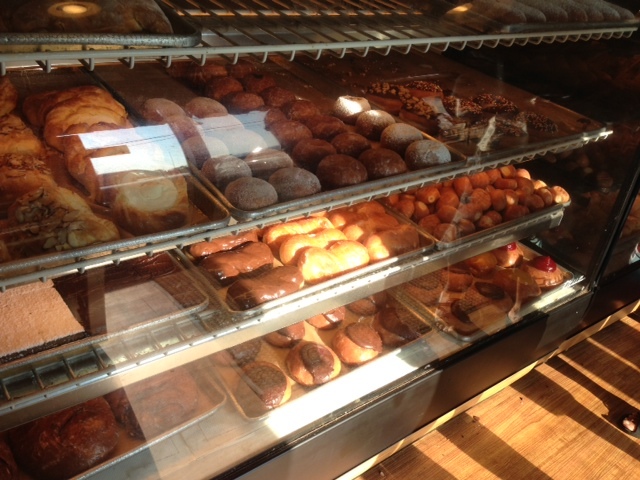 Finally you feel the powdered sugar on your lips, licking off this sweet surprise. 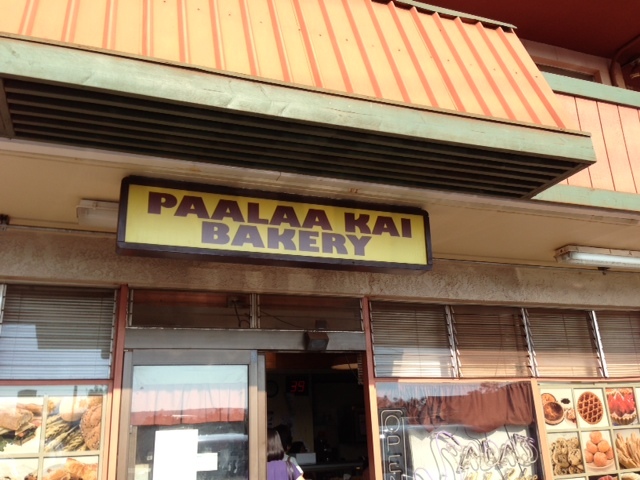 Along with the Snow Puffies, Paalaa Kai offers up many other baked goods. 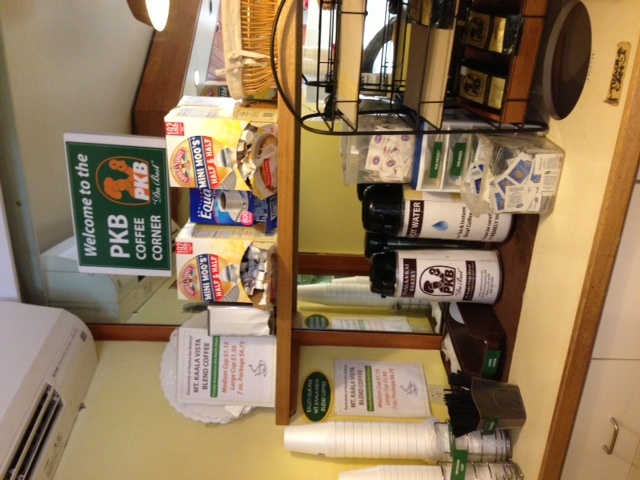 Of course, you need coffee with your goodies and Paalaa Kai has their mini corner coffee bar. If you’re visiting the North Shore or taking a “Be Like Barack” mini-vacation, keep an eye out for this sign. It’s kinda in the middle of nowhere, and you can easily pass it. Look for a tiny but packed parking lot or a bunch of people with telltale powdered sugar on their faces.